How to cut through the confusion and red tape and come out a winner. 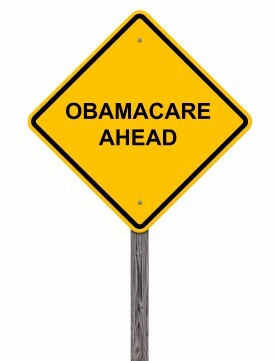 Regardless of your politics, the ObamaCare changes can significantly impact your personal finances, so you want to get it right. Our goal is to help you understand your situation, evaluate your options and find the right plan at the lowest possible cost, as easily and efficiently as possible. This website contains a wealth of information about the Affordable Care Act (ACA), better known as ObamaCare. Some will want to study it, whereas others prefer to simply let us ask a few questions to help you cut through the red tape and find the right plan at the lowest price. Under ObamaCare health insurance is required by law or you’ll pay an escalating tax penalty. Any person without qualifying health coverage must pay a tax penalty, either a flat rate or a percentage of your household income, whichever is greater. Open enrollment re-opens on November 1st for plans with a January 1st, start date. Open enrollment closes on January 15th, for plans with a February 1st, start date. After open enrollment closes, you may still be able to get coverage if you have a Qualifying Event that triggers a Special Enrollment Period. Plans outside the exchange that are all fully ObamaCare compliant. Plans for individuals and families inside the exchange. Over 100 plans for small business inside the exchange. National, regional and local PPO and HMO network providers. Find out if you’re eligible for subsidies that can dramatically reduce insurance costs. You can spend countless hours trying to make sense of all the options or let us do the work for you. Our services are 100% free to you and we have the guaranteed lowest available rates. Get a quote and more information about ObamaCare plans in Colorado.